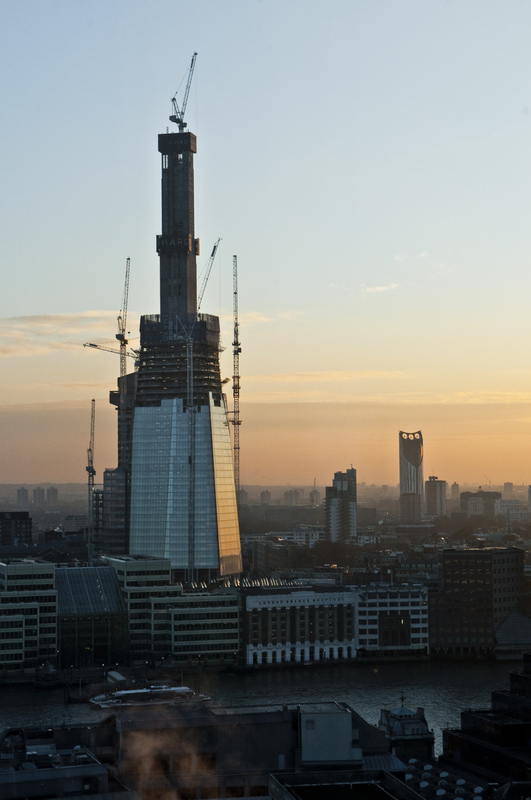 The Shard, designed by Renzo Piano and photographed in January last year. When completed this May 2012, it will be the tallest building in Europe. It looks very romantic in the sunset. Perhaps a few more shots before completion. What are the chances of being able to get to the top to take a picture from there, that would be very interesting. I believe you can see for 40 miles. Do you have a head for heights?